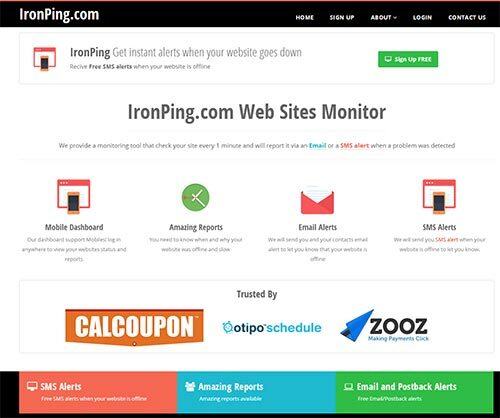 IronPing website monitoring, is a project developed by A.R.P.S Internet Services, A.R.P.S Internet Services exists for over then 10 years and offers high end PHP development, project management, online marketing and web hosting consultants. All of our clients benefit from personal , family kind and loving care service, we will really do almost anything for you to be happy with us. Today, when 'Eat as much as you like' hosting services are common, web monitoring is just a must, web hosting providers that sells 'unlimited' hosting packages at zero prices mostly over sell and host tens of thousands websites at the same server which cause your website to be offline or slow responding often then you might think or know. Every minute your website is down, bigger the chance you will lose a potential client that searching for you right now. Imagine this, Google is trying to scan your website for changes, but ooops your website is offline, what a huge damage! It's such a shame to lose your SEO achievements you worked so hard to gain. 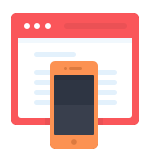 When your landing pages are offline you are losing money! You are investing so much money at your Adwords campaign, but it might be that many of the clicks you are receiving just goes to trash because your landing page is offline, it might be that the landing page was offline just for few minutes and you didn’t even know that, but thus minutes cost you clicks you paid for. IronPing web monitoring developed by A.R.P.S Internet Services, A.R.P.S Internet Services exists for over then 10 years and offers high end PHP development, project management, online marketing and SAS development.